This can be filed under Things Everyone Knew Donald Trump Would Say. 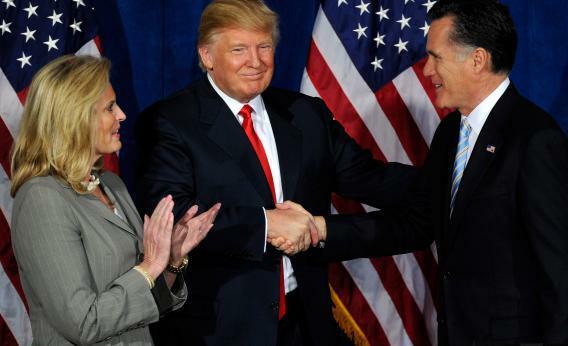 Appearing on Fox News Monday, “The Donald” said his endorsement helped Romney win by nearly 30 points. 1) Who are “a lot of people?” Is there anyone, anywhere, who has said anything about Trump’s endorsement helping Romney in Nevada? All I did in Nevada was talk to voters, and never met one who moved over to Romney because of Trump. I heard a bunch of them laughing about it! 2) It’s not just that Romney actually did worse in Nevada this year than he did in 2012. Nevada was the first of five primary or caucus states where Romney got markedly fewer votes than he did four years ago. According to CNN’s updated count of the state (the network was way ahead of the local party), Romney won 16,486 votes in Nevada’s caucus day preference poll, 50.1 percent of the total. In 2008 – in a race with more candidates – Romney won 22,646 votes, 51 percent of the total. And so Trump is taking credit for Romney’s least impressive win so far. The man is good. This is huge.